Step 1 Registering new user as a. Step 2 Details for a. How did you hear about Au Pair 4 Me? THE MOST RELIABLE, AFFORDABLE AND FLEXIBLE Live-In Childcare Solution. 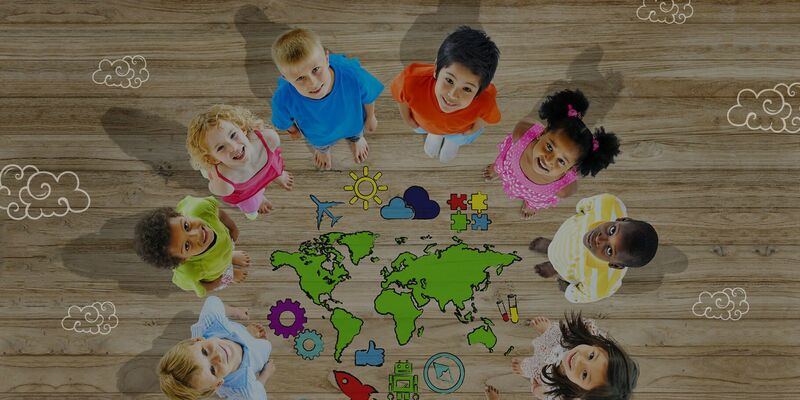 An au pair program is a cultural exchange program that allows young people from all over the world travel to other countries to live with a host family in exchange for child care services. The word ‘au pair’ is French with a meaning of “on par” or “on equal terms.” The arrangement between the host family and the au pair is different depending on which county the host family resides in. In Europe, for example, au pairs work part-time with the children of the host family and they study part-time. In the United States, an au pair may provide up to 45 hours of childcare a week and needs to complete 6 credits at the U.S. post secondary institution. Your children are the most precious part of your family. When it comes to finding high quality childcare, you want to ensure you have only the best caregivers for those moments that you cannot be there. Not only is your child’s well-being and safety an important concern, but you also want to ensure that their minds and social skills are stimulated by positive daily interactions. Why choose Au Pair 4 Me? - Round-trip international airfare for your au pair. - Free transportation from Orientation and Training Program to host family’s home. Please navigate to the Available Au Pairs page to search for your perfect Au Pair! Au Pair 4 Me prepares all au pairs for their upcoming year and makes sure they have knowledge, and skills needed to provide the best care to host family's children. They complete their pre-departure project, online training as well as in-person skill sessions that include two American Red Cross Courses. This program increases confidence, thoughtful decision-making, and prepares the au pair for a successful experience caring for children. Our agency provides an excellent accident and sickness insurance for our au pairs that not only meets but also exceeds the requirements from the Department of State. Our team of talented and well-trained people is dedicated to providing only the best services to our host families and au pairs. You can count on us any time you need help and we will always be there to support you with finding the best solutions for you. Working with Au Pair 4 Me has been great! They really care about people and offer the best services. Our application process was very easy and after reviewing available au pairs presented by the agency, we found our perfect match, and she will be joining our family very soon. We are very excited to begin this new adventure. Au Pair 4 Me was a true pleasure to work with. Their staff was knowledgeable, friendly, and did a great job addressing my concerns. When I dealt with other companies, I always felt as I was a burden to them. Au Pair 4 Me took a genuine interest in my situation, and helping me find the best fit to suit my needs. They always responded in a timely, courteous manner. I would highly recommend Au Pair 4 Me. We cannot wait for our au pair to arrive! Au Pair 4 Me has been there for us through every step of the process. We were unfamiliar with Au Pairs, and they were able to introduce us to the program. They provided all the background we needed to realize that an au pair would be a great fit for our family. We are so excited to welcome a new member to our family! Interested in becoming an Au Pair? to Your Children's Lives WITH AN AU PAIR.